Buoyancy, aerodynamics, electricity and quantum physics…do these sound like concepts that you’d be introducing to your 3 year old? Maybe not, but you can! And you can do so in a very fun, age-appropriate way with an awesome new app that is being released today, Thinkrolls 2. 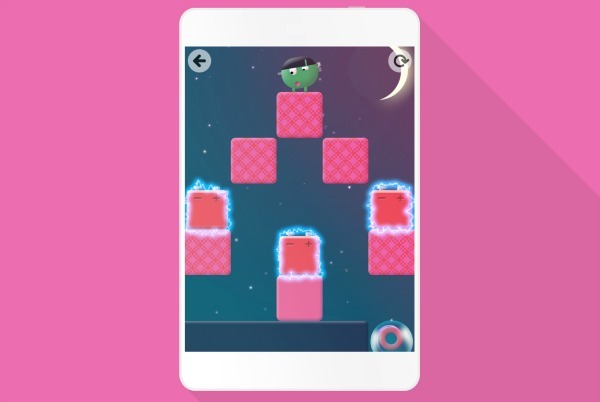 If you’ve been reading this site long you may know that I love working with Avokiddo, the app developers, to bring sponsored posts about their newest educational apps. In the past we’ve shared about ABC Ride and the original Thinkrolls app. I love sharing that these are still apps both girls play regularly, so we were super excited to have the chance to get an early peek at Thinkrolls 2. 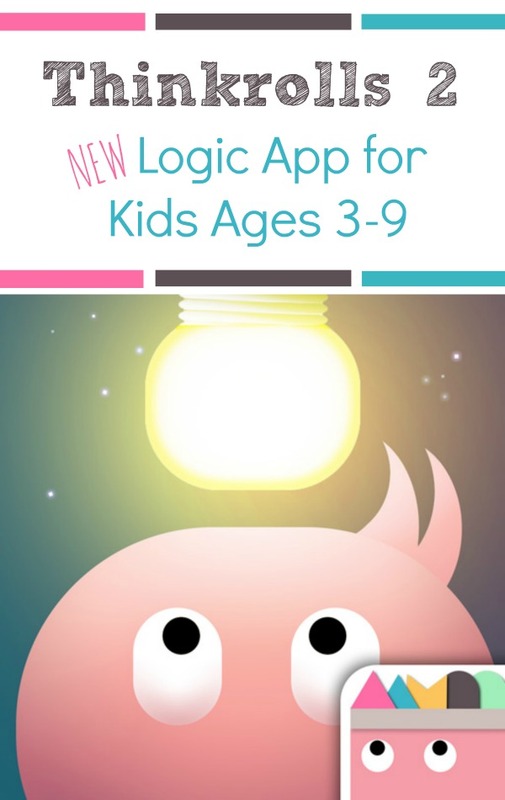 Thinkrolls 2 is an enlightening logic puzzler for kids age 3-9. 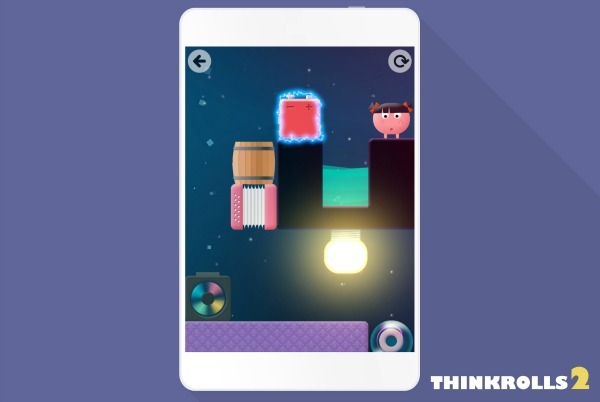 With the success of the award-winning, best-selling app Thinkrolls, I was very curious to see how Thinkrolls 2 would build on an already outstanding game, and I wasn’t disappointed at all. Whether you’ve been playing Thinkrolls since it was released or you’re jumping right into Thinkrolls 2 first your kids are sure to find a thought provoking challenge and be actively engaged. 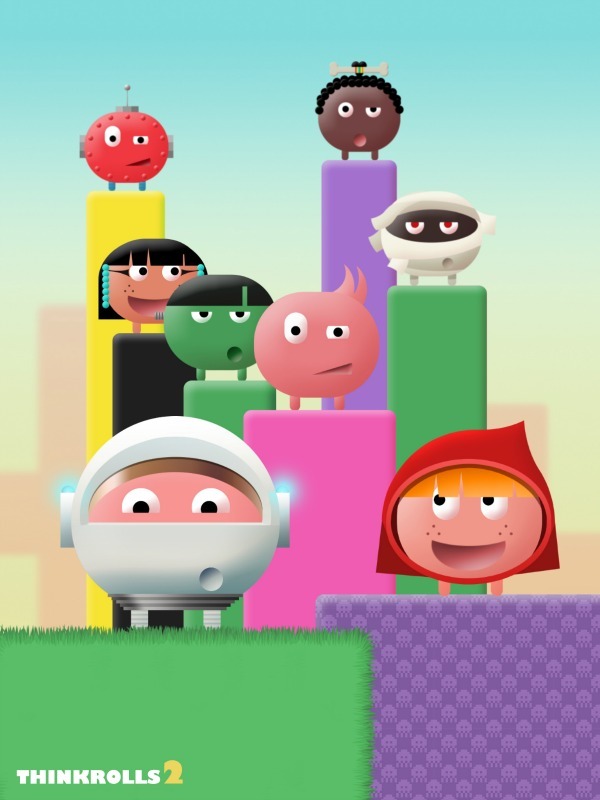 Thinkrolls 2 comes with 28 spunky characters to navigate with. The girls were excited to see some of their old favorites and some creative new friends. We were pleased to see the same style of artwork in this version, because we love the look and feel of the Avokiddo apps already. The original soundtrack and sound design are also features we were happy to find in Thinkrolls 2. They are appealing to both kids and adults without being too much to allow kids to concentrate on the learning tasks. Thinkrolls 2 is also COPPA compliant, has no third-party ads, and has no in-app purchases. So it looks cool and sounds great, but what are they learning? In short, a lot! 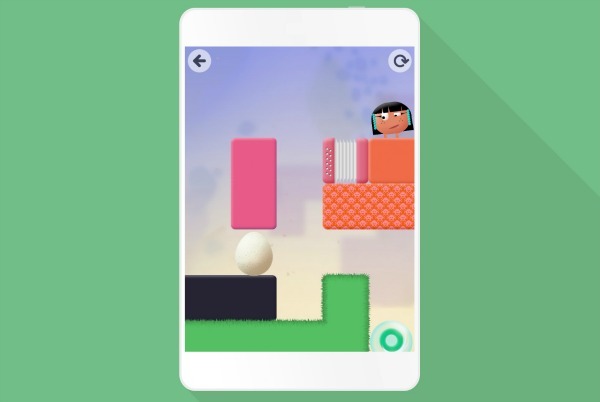 This clever game of logic keeps kids on their toes as they use properties of matter and basic physics to make their Thinkrolls not only roll, but float, glide and teleport through a series of themed chapters. Each chapter gradually introduces a new scientific concept in an accessible, easy to understand way. The easy level includes 117 mazes and is most appropriate for kids ages 3-5. Below is a view of one of the easy level screens. The hard level includes 118 mazes and is most appropriate for kids ages 5-9. Below you can see a screen shot from a hard level maze. I love that the app unlocks new levels and becomes increasingly difficult as kids have mastered previous mazes, but I’ll be honest even the easy mazes will have kids (and parents!) thinking. They aren’t too difficult to figure out, but they do require kids to consider multiple possibilities and potential outcomes. Below you’ll see some of the additional skills focused on in each chapter. If you’re looking for a fun app that encourages lots of learning and problem solving, you can purchase the Thinkrolls app via iTunes, Amazon, and Google Play. You can also find out more about Thinkrolls 2 and the other Avokiddo apps on the Avokiddo website. As mentioned above this is a sponsored post on behalf of Avokiddo Thinkrolls 2. All opinions are my own and based on our experience with the app. If you try the app out, I would love to know what you and your family like most about it! Let us know in the comments.